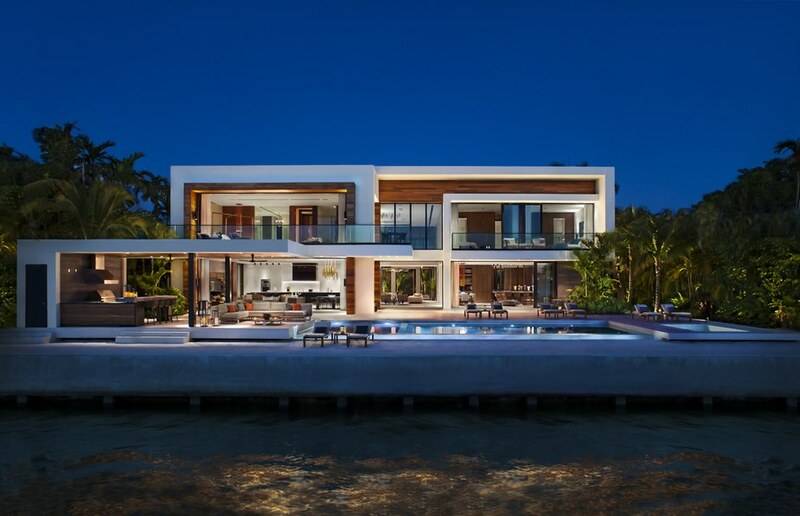 Inviting outdoor spaces include a man-made white-sand beach, a cabana lounge with bar, and a limestone-paved pool court. The lot totals half an acre of prime real estate, with 120 feet of ocean frontage, a dock, and views of downtown Miami and Biscayne Bay. Choeff Levy Fischman devised the interior lighting scheme, while decorator Charlotte Dunagan warmed up the interiors with limestone floors and aluminum-bronze accents. There is no hardware on the sleek white cabinetry in the kitchen. Metallic pendants hang above the main dining area, situated between the kitchen and living room. 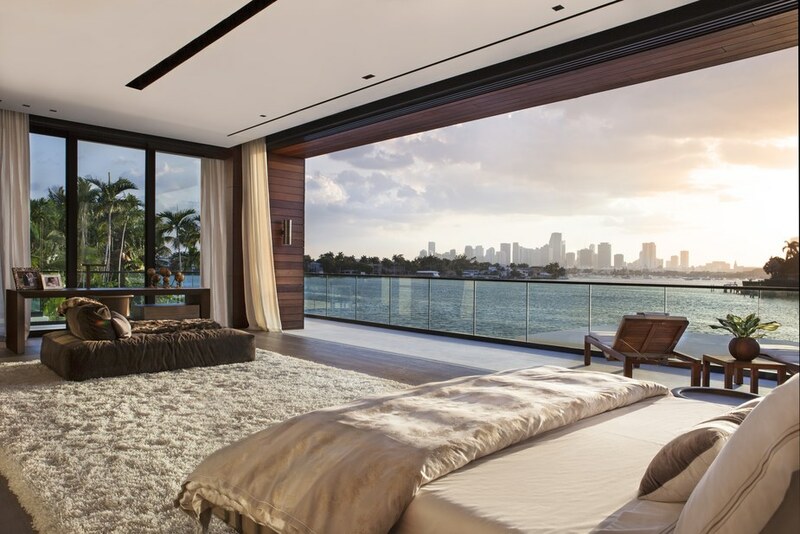 An ipe-clad terrace becomes part of the master bedroom, thanks to retractable glass walls, which open the space to bay breezes and breathtaking city views. Enjoy sunsets from the uber-luxe master bath soaking tub.